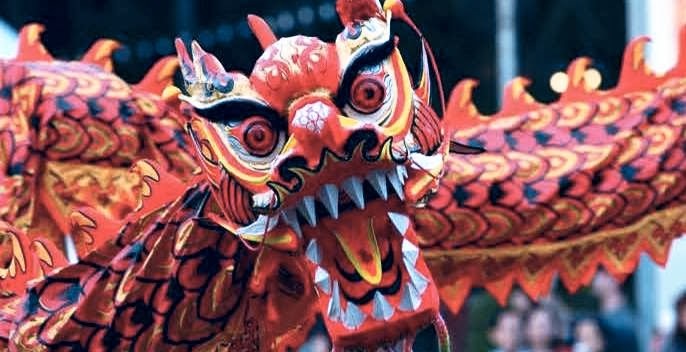 Did you know these facts about the Chinese New Year???? 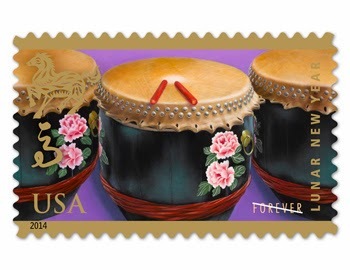 It’s a very traditional and festive holiday not only in China but also in Chinatowns all over the world, including New York, San Francisco, Boston, Philadelphia, London and more.The US post office has created this stamp to commemorate the holiday this year. The date is based on the Chinese calendar. Traditionally from the last day of the year to the 15th day of the first month! What a celebration! This year it starts on January 31st. Dragon dances and street fairs are very popular. It’s also a popular time to do a real good cleaning in the house. We call this SPRING CLEANING. Children receive red envelops with money inside as gifts. The amount of money must be an even number (2, 4, 6, 8 etc.) But it must NOT be divisible by 4 (4, 8, 12, 16 etc.) The number 4 means death in Chinese. To make sure you don’t have debts and money problems during the year, the Chinese believe that you should pay any money you owe family and friends before the New Year. On the last day of Chinese New Year, people go out with red paper lanterns. It’s called Lantern Day and it is supposed to light the way for the New Year. 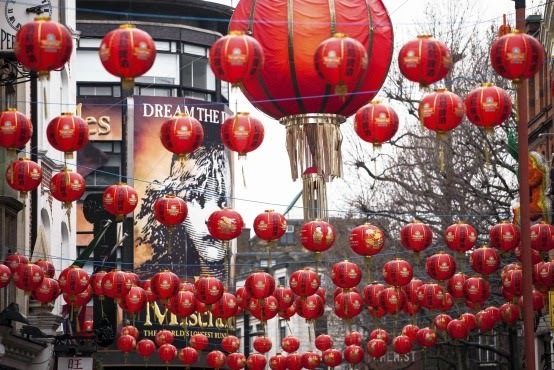 Have you ever had the chance to go to a Chinatown or China for the New Year celebrations? Can you share some more fun facts about the Chinese New Year? 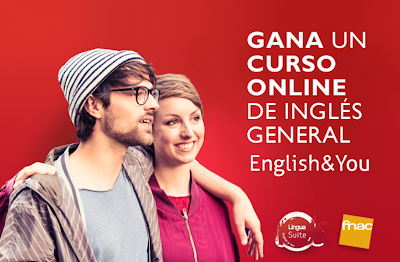 WIN AN ONLINE ENGLISH COURSE! ¡GANA UN CURSO DE INGLÉS! Congratulations to the winner of this month’s QUIZ, Yolanda Gutiérrez!!!! ¿Cuál es correcto en inglés? a) I have 35 years. b) I am 35 years old. Do you know the answer? It’s b) of course! In English we say I AM not I HAVE when we say our age. Be careful! This is a very common mistake. You can also say I AM 35. We understand you are talking about your age. You can win an English & You course every month! Just check here and we will tell you how you can win. Posted on 25/01/2014 Author Mary WatsonCategories QuizLeave a comment on WIN AN ONLINE ENGLISH COURSE! ¡GANA UN CURSO DE INGLÉS! How many days a week should I study? He studies English on the train! The best answer to this question is another question. How many days a week can you study? The best study plan is the plan that you can do. If you are too ambitious, you will probably give up. Decide on a study timetable that fits in with your life and then stick to it. If you sincerely want to learn to function in English, try to remember that you are immersed in a learning process. Try not to switch your head off when you are not actively studying! Be a little bit obsessive about it. Eh?! What I mean is that you can think about what you have been learning recently when you are on the train, cleaning up the kitchen or taking a shower! It’s better to do a shorter study session every day rather than a long session every few days. If you just have 10 minutes, study for 10 minutes! It is surprising how much you can achieve little by little. Be consistent and you will learn! ¿Cuántos días tengo que estudiar? Ahora lee el texto en español, y presta atención a las palabras de color rosa para mejorar tu vocabulario en inglés. La mejor respuesta a esta pregunta es otra pregunta. ¿Cuántos días por semana puedes estudiar? El mejor plan de estudio es el plan factible para ti. Si haces un plan demasiado ambicioso, lo vas a abandonar. Proponte un horario de estudio de acuerdo con tu vida y después hazlo. Si realmente quieres aprender a funcionar en inglés, intenta acordar que estás inmerso en un proceso de aprendizaje. ¡Intenta no tener la cabeza apagada cuando no estás activamente estudiando! ¿¡Cómo!? Lo que quiero decir es que puedes estar pensando en lo que has estado estudiando cuando estas en el tren, recogiendo la cocina o ¡duchándote! Es mejor estudiar un poco todos los días en vez de dedicarte a una sesión de estudio larga con menos frecuencia. Si solo tienes 10 minutos ¡haz 10 minutos de estudio¡ Es sorprendente cuánto se puede conseguir poco a poco. ¡Se constante y aprenderás! LinguaSuite is the only online English course that gives you a study program that fits in with your life! Personal plan according to your months of study and hours of study per week. No limits! If you finish your plan, you continue until you reach the end of your period. The intelligent system gives you new linguistic contents when you are ready for them. 4 different courses: General English, Business English, English for Travel and English for the Cambridge First Certificate Exam. give up = abandonar, dejar I gave up smoking last week. 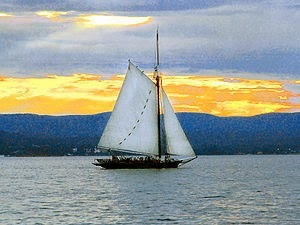 fit in with your life = ser compatible con tu vida LinguaSuite fits in with your life. stick to something = no abandonar. Make a plan and stick to it. switch your head off = apagar tu cabeza. When I watch TV, I switch my head off. clean up the kitchen = recoger la cocina. After lunch my husband cleans up the kitchen. rather than = en lugar de. Today I took the train rather than the car. consistent = constante. CAREFUL! This is a FALSE FRIEND! You have to be constant if you want to learn a language. WRONG I play poker every 15 days. RIGHT I play poker every other week. 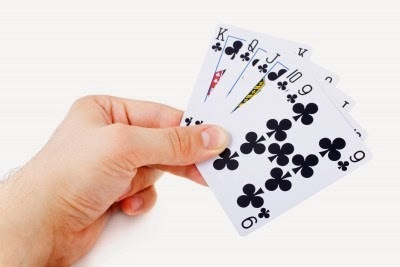 RIGHT I play poker every two weeks. 15 days?! WHAT is THAT?! In English we count 7 days to make one week, so 2 weeks is 14 days. It’s arithmetic! If you make this mistake, try to correct it. Say it to yourself. Tell yourself a list of things you do every other week or every 10 days. You can do it! If you like this, tell us!! And tell your friends! Posted on 22/01/2014 07/01/2016 Author Mary WatsonCategories Cómo aprender inglésLeave a comment on Common Mistakes in English. Do you speak Spanglish? RIGHT They live in Chicago, right? RIGHT They live in Chicago, don’t they? WRONG They live in Chicago, isn’t it? WRONG They live in Chicago, no? We have mentioned in previous posts that, unfortunately, you can’t just put no?at the end of the sentence in English. Sorry! Learn tag questions: do you? have they? will he? But these are tricky and if you don’t need to learn them for an exam, frankly, don’t bother. Some people solve this problem by saying right? or yeah? at the end of the sentence. Just don’t do it too much because it can be irritating. It’s not too late to get a grant from the Spanish government to study English. WRONG She is the responsible of communication. WRONG She is responsible of communication. RIGHT She is responsible for communication. Remember this: the word “responsible” in English is not a noun. It is an adjective, like happy, or intelligent. So you have to say “I am responsible” like “I am happy” or “I am intelligent”. She is in charge of communication. She is the person responsible for communication. She takes care of communication. ¡¡LinguaSuite! Resolviendo tus dudas en inglés!! Win an online english course!! ¡Gana un curso de inglés ! ¡¡Gana un curso de inglés!! Big news! You can WIN an online English course! You will love all the interactive features! Posted on 13/01/2014 01/12/2015 Author Mary WatsonCategories QuizLeave a comment on Win an online english course!! ¡Gana un curso de inglés ! This year I’m going to do it! I’m going to be in the 12%!! Did you know that 82% of the people who make New Year’s Resolutions are convinced they will change their habits, but only 12% really do? You know where to go… Click on LinguaSuite!